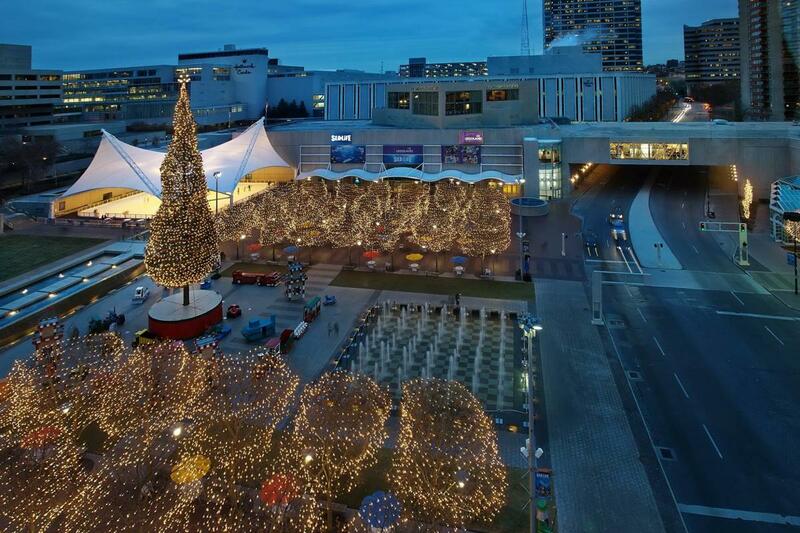 The Ice Terrace at Crown Center in Kansas City is a must during the magical holiday season. Each November, the courtyard is turned into a winter wonderland for all ages. Sunday - Thursday, 10 a.m. - 9 p.m.
Friday - Saturday, 10 a.m. - 11 p.m.
Sunday, 10 a.m. to 9 p.m.
Monday - Thursday, noon - 9 p.m.
Friday, noon - 11 p.m.
Saturday, 10 a.m. - 11 p.m.
Thanksgiving Day, 3 p.m. - 10 p.m.
Christmas Eve, 10 a.m. - 6 p.m.
New Year's Eve, 10 a.m. - 6 p.m.
New Year's Day, noon - 9 p.m.